Paul Merson is backing Manchester City to keep themselves in a strong position in the title race by claiming a 3-1 win over Chelsea FC in the Premier League on Sunday afternoon. Manchester City head into this weekend’s round of fixtures at the top of the Premier League table after having overtaken Liverpool FC thanks to their superior goal difference. The Citizens are aiming to try and defend the title that they won in style under Pep Guardiola last season as they battle it out with Liverpool FC. Meanwhile, Chelsea FC are in the middle of a somewhat patchy run of recent form, with the Blues having only won two of their last five Premier League games. Those results have left Maurizio Sarri’s men in fourth place in the Premier League table but just two points ahead of fifth-placed Manchester United. Chelsea FC have drawn one and lost two of their last five Premier League games – and former Arsenal star Merson believes that Manchester City will have too much for the Blues this weekend. 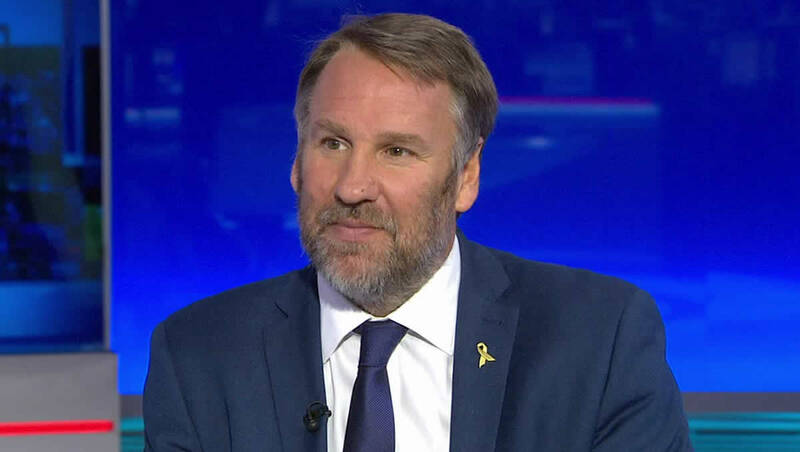 Speaking to Sky Sports, Merson said: “I think City will win this as I just do not see how Chelsea defensively can keep them quiet on their ground and the way they pass and move it. “Marcos Alonso plays as a No 10 and will be bombing forward, while David Luiz will either be a 9/10, or a 3/10! I would be shocked if Chelsea got anything from this game. “However, despite being top of the league, City are still vulnerable, they are not like they were last season. “You could see that against Arsenal last weekend as when they equalised, they were comfortable and looked the better team, but they just did not have enough. “Chelsea have got more than Arsenal and it will be a hard game for City, but I just think that defensively, Chelsea can’t be relied upon. Chelsea FC will take on Malmo in the Europa League last 32 next Thursday night, while Manchester City will play Schalke in the last 16 of the Champions League later this month.